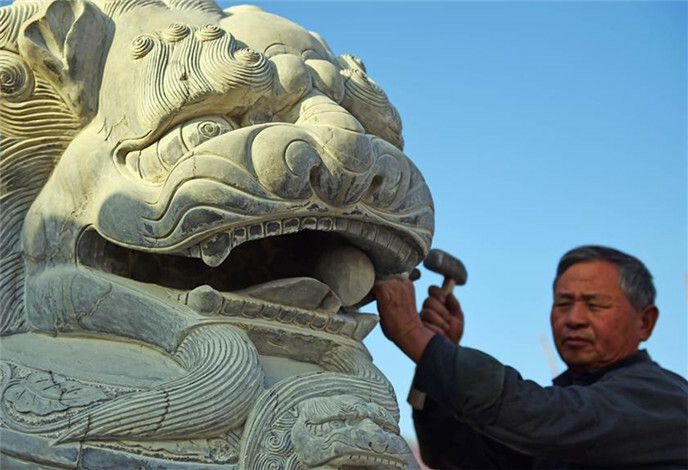 Relying on the rich granite resources, Shishan Town developed stone carving as its leading industry, yielding an output value exceeding 500 million RMB yuan (about $78.4 million) in 2014. 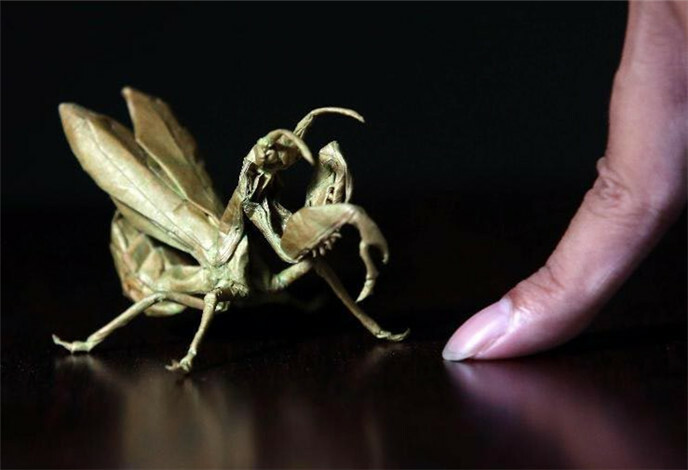 After cutting a palm leaf into three pieces and knotting them together, Hu Licheng quickly weaved the stomach of a cricket. 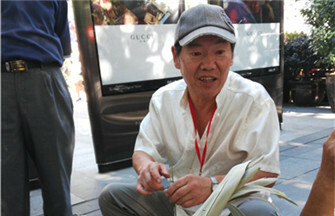 "Hold this for me," he said as he handed the partly-finished handicraft to a boy near the gate of Jing'an Park in Shanghai. 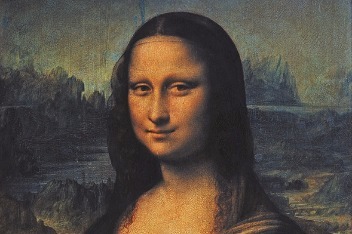 He then made the cricket's head and wings. 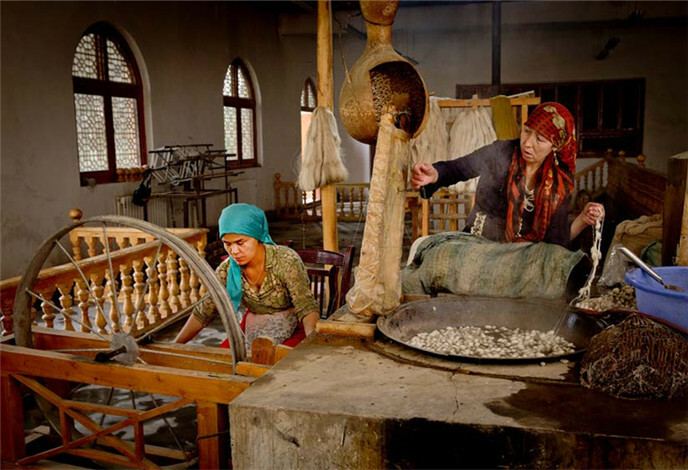 Mulberry paper making is a traditional handicraft of the Uyghur people in China's Xinjiang. 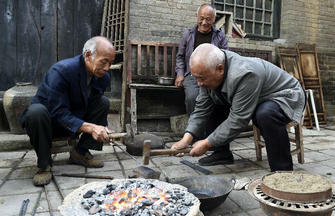 It is handmade and today only a few families still produce it. 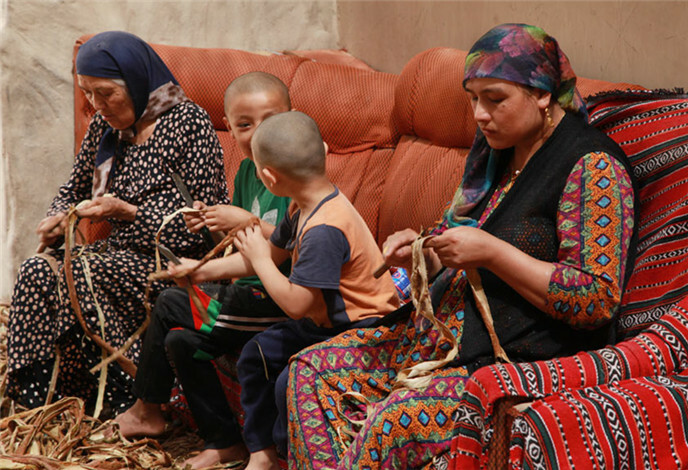 As a traditional handicraft of the Uygur people in Xinjiang, the making of Atlas silk has a long history of more than 1,000 years. 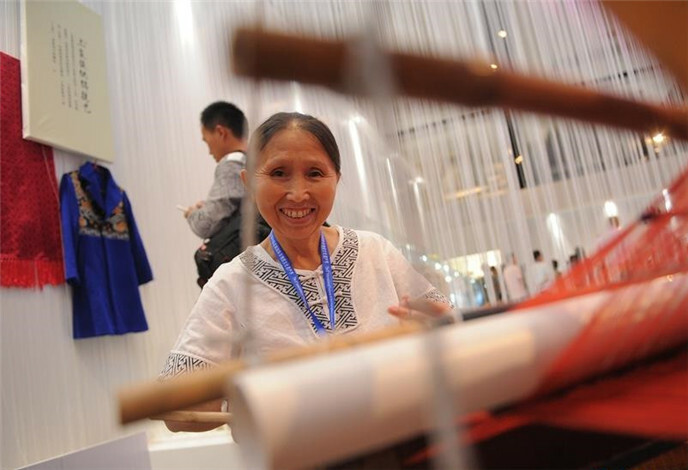 Pei Xiangnan, 66, is the eighth successor of the Dayang handmade crewel needles, which was listed as a provincial intangible culture heritage in 2006. 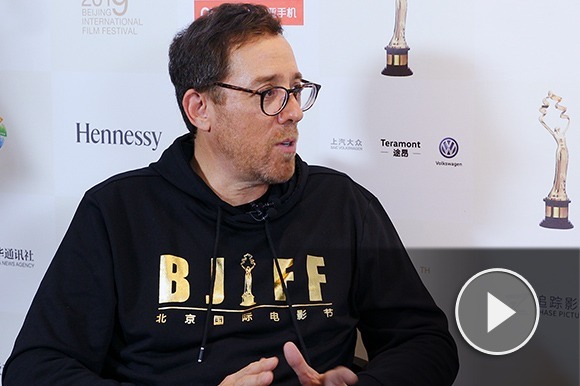 From practical souvenirs to smartphone apps, the Palace Museum has added creativity and innovation into promotion of traditional Chinese culture. 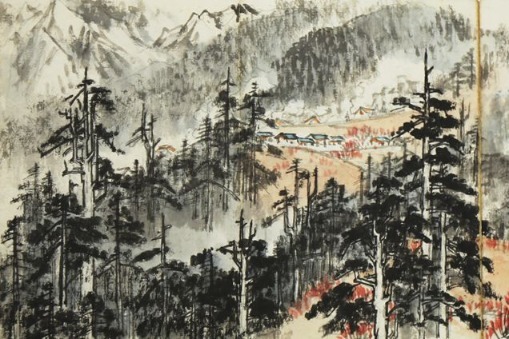 For several years, Du Baohuai draws was deeply fond of such kind of paintings, and finished lots of works on different size crab shells. Photo taken on Sept 20 shows how LED light passes through carved eggs at an egg-caving show by artist Kong Bin in Linfen, North China's Shanxi province. 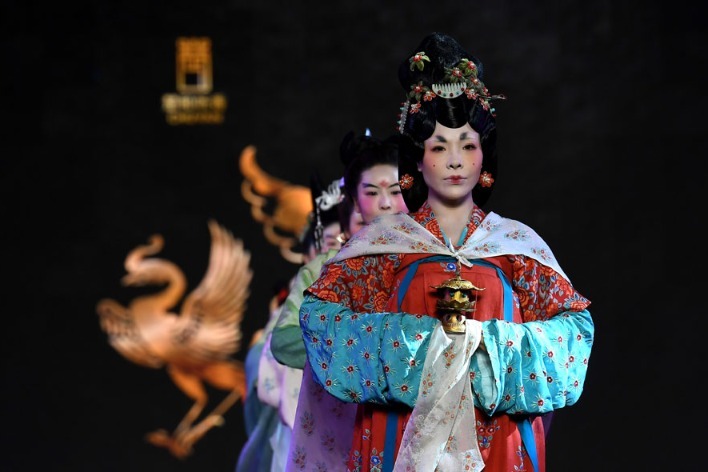 On the occasion of the Exhibition of Chinese traditional craftsmanship, masters of intangible cultural heritages brought their unique skills and presented the stunning works to the public. Japanese architect Naoki Terada came to Beijing to collect materials for his project, '1/100 Terada Mokei'. 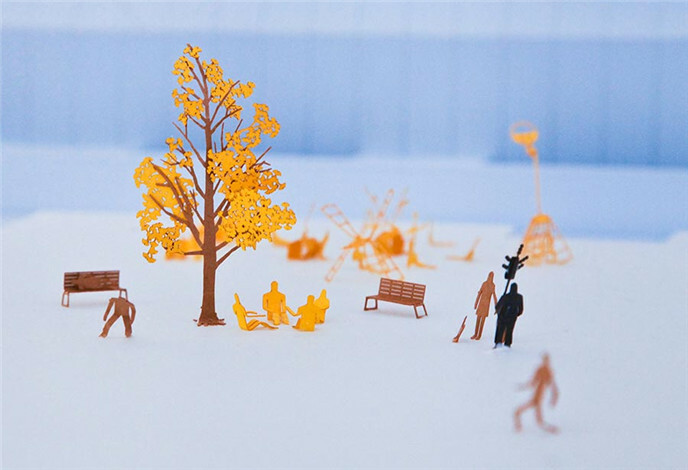 The project will include 100 city scenes demonstrated via miniature paper-cuts of objects that are one percent the size of the originals. 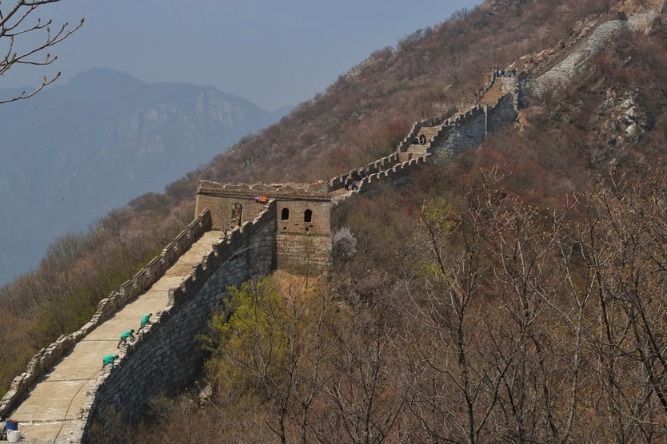 Qin Kun is a post-90s young handicraftsman from Guilin of Guangxi. Whe he was little, he developed a strong interest in paper folding. 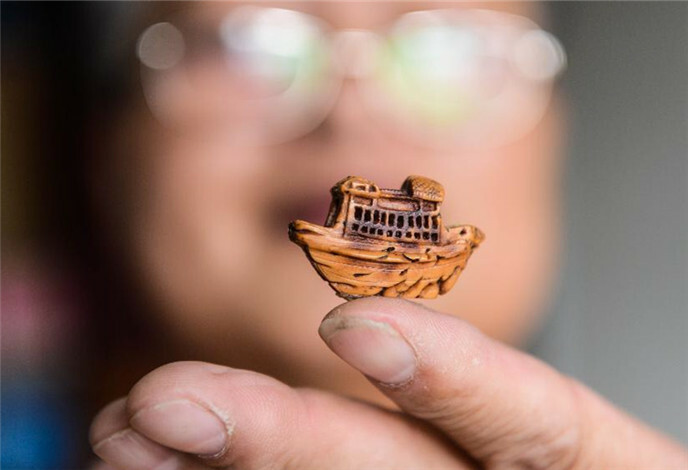 Folk artist Hu Yinsong shows a peach pit carving in Tongxiang, East China's Zhejiang province, Aug 26, 2015. 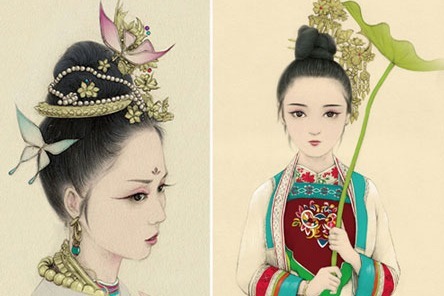 Tongxiang has a tradition of wearing peach pit carving for children.